Samford University’s the Offices of Alumni Programs and Parent Programs has planned several events in Alabama and Georgia before the end of September. 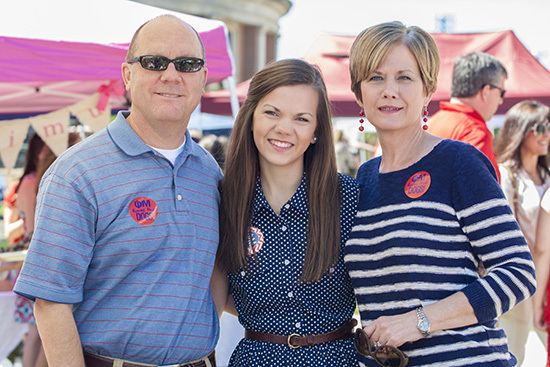 “The purpose of these events is to engage alumni and parents and to take Samford on the road,” said Molly McGuire, director of alumni programs. Events include a 3 p.m. tailgate before the Aug. 30 Samford/TCU game in Fort Worth. Advance reservations are encouraged for the Atlanta, Fort Worth, Montgomery and Birmingham events. Tuesday, Sept. 2, 5:30 – 8 p.m.
Wednesday, Sept. 3, 7 – 8:30 a.m.
McGuire said other events may be scheduled through the fall, and alumni, parents and other friends of the university are encouraged to check the Samford website for updates.